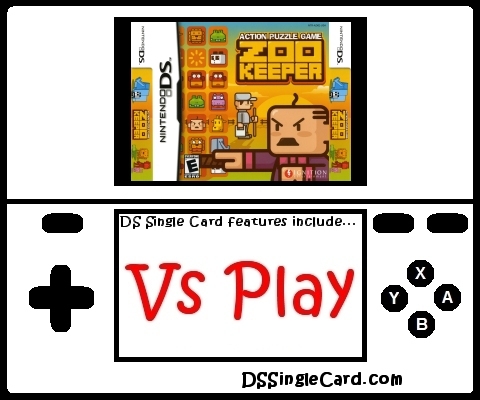 Alternate Names: "ZooKeeper", "Action Puzzle Game: Zoo Keeper" (Japan), "Zooo"
Developer(s): Success / Buddiez, Inc.
Line up three or more! ARE YOU CAGEY ENOUGH TO BE THE KEEPER? Play Your Heart Out! : You might take a beating! Quest: Up to the challenge? Time Attack: 6 minutes and counting to get the highest score!